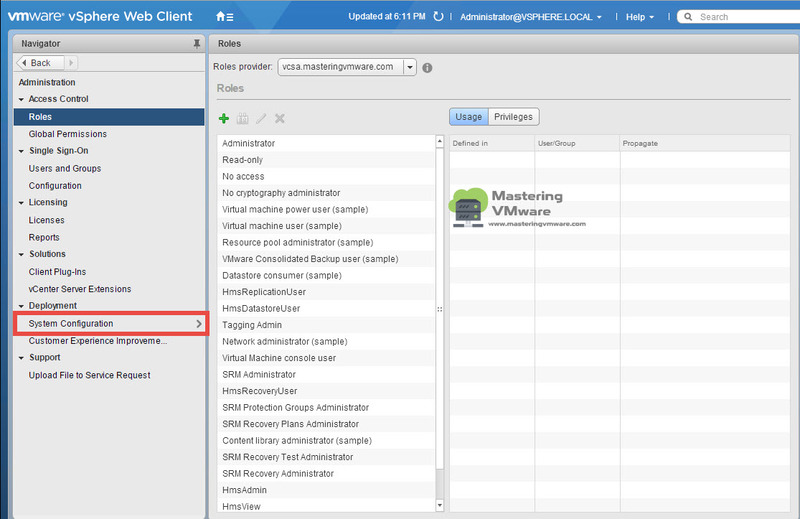 When we face any issues with the vCenter Server Appliance we log a call with VMware Support and they first always ask to upload the Logs so they can do the analysis based on the diagnostic data and provide the appropriate solution based on the problem occurred. 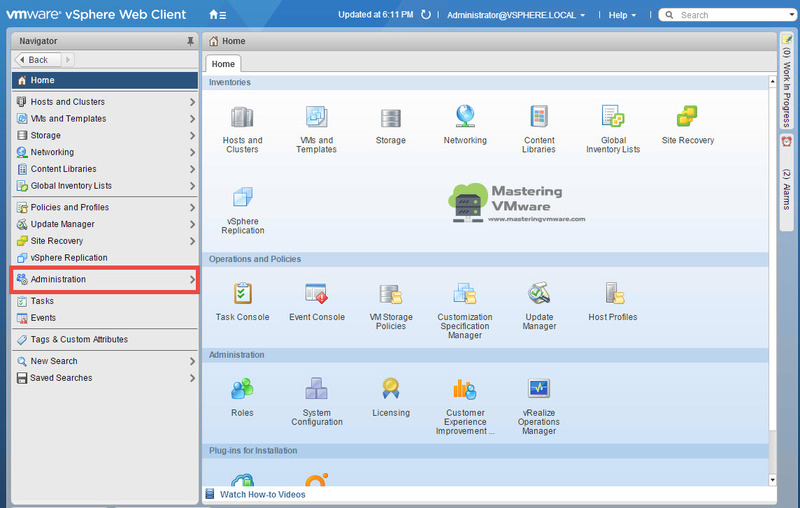 As an VMware Admin we already knows how to export the logs of vCenter Server Appliance but i thought to make a post in which you can find multiple ways to export the logs or support bundle from vCenter Server Appliance. 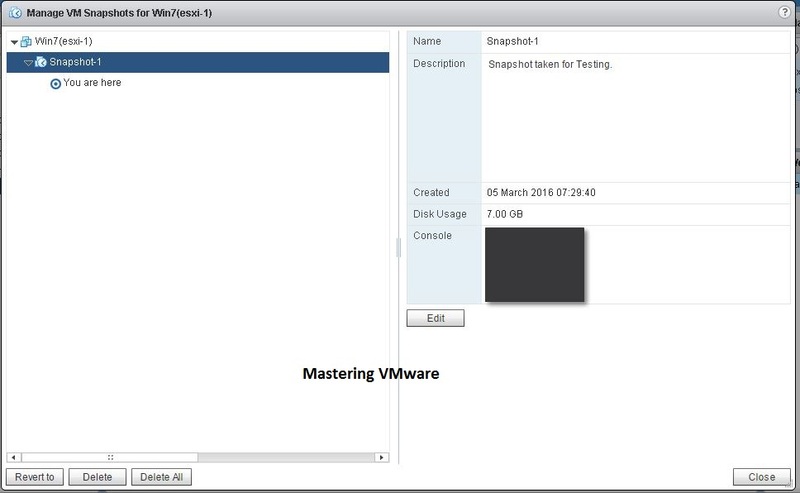 In this post we will see 4 different ways in which you can export the VCSA logs or the support bundles. 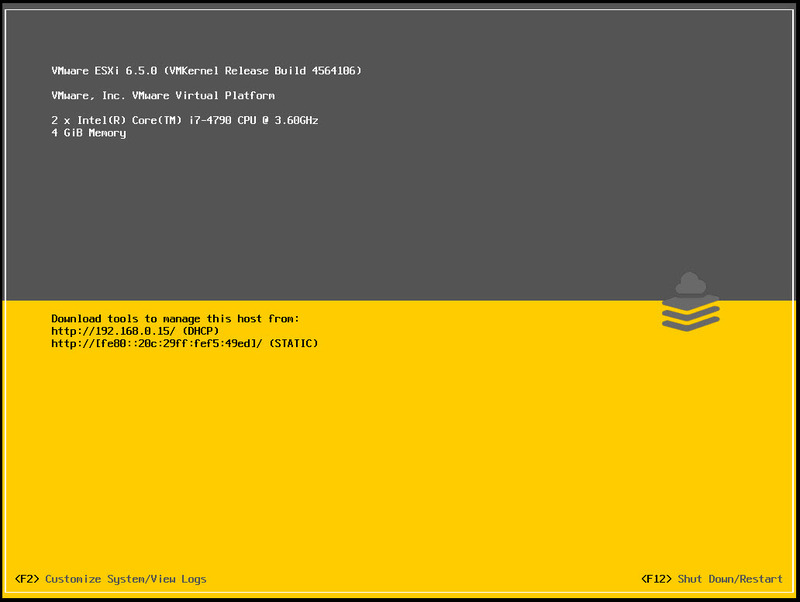 3 ways are using the simple UI method but 1 will be using the command line method. 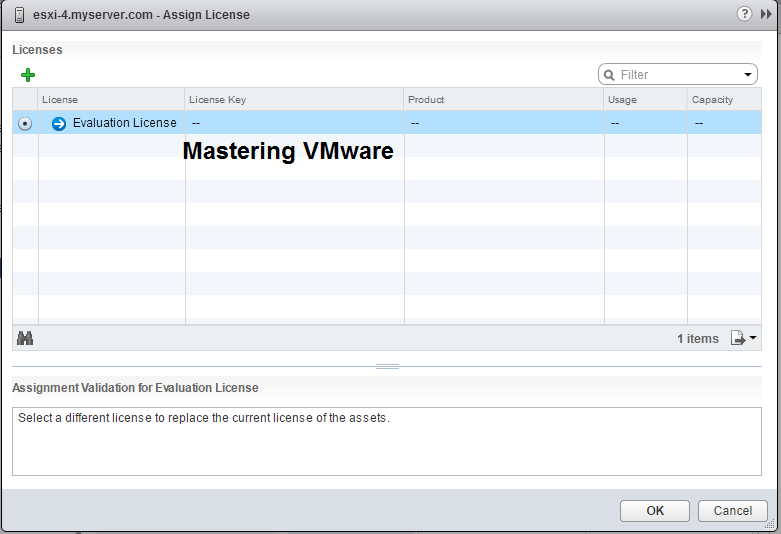 In this we will be using the vCenter Server Appliance Management UI to Generate the support bundle. 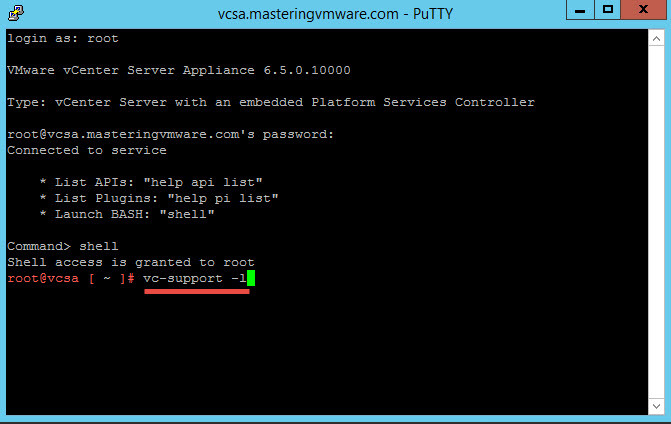 Put the VCSA IP or Hostname into browser URL with port 5480 as shown. Then login using the root user. You will see the below home screen. 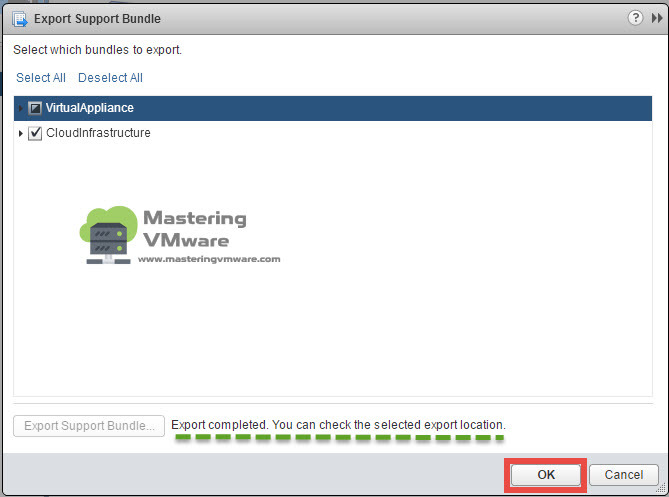 Click on Create Support Bundle to export the support bundle of VCSA. You can see the downloads in the browser to get the support bundle. In this we will be directly generate the support bundle from the URL only. 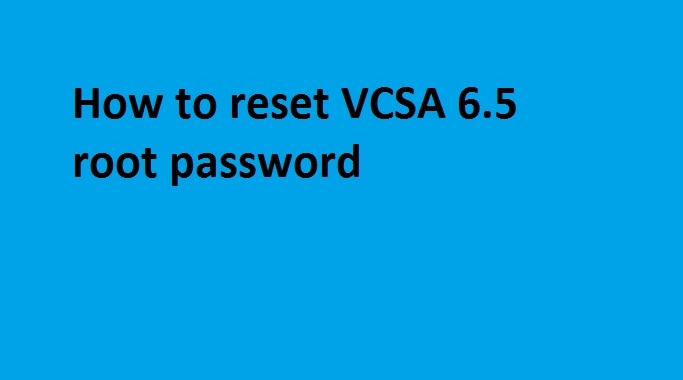 Provide the root user name and password and press Enter. 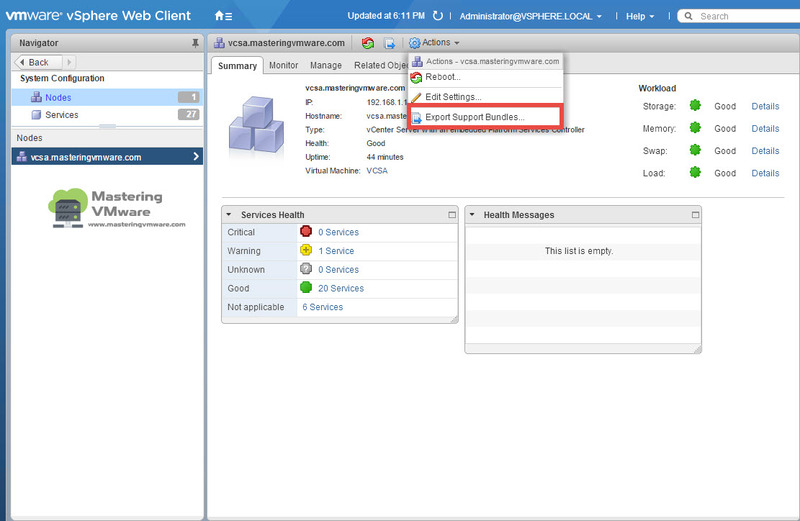 This is a bit lengthy way but you can also export logs using the vSphere Web Client. 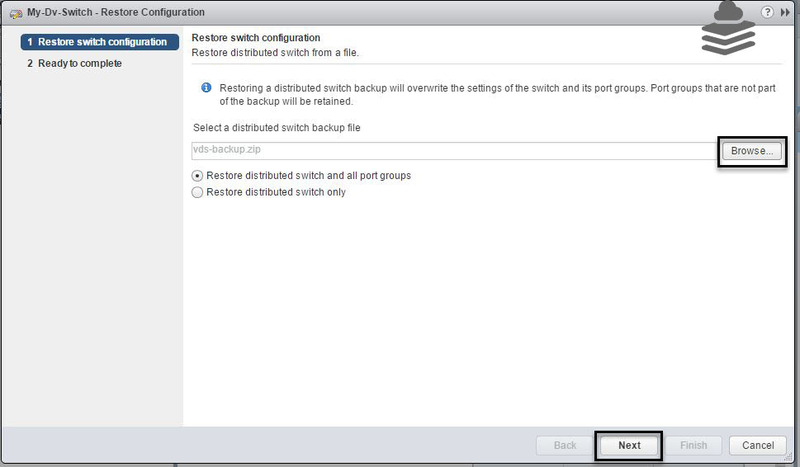 Go to System Configuration under Deployment. 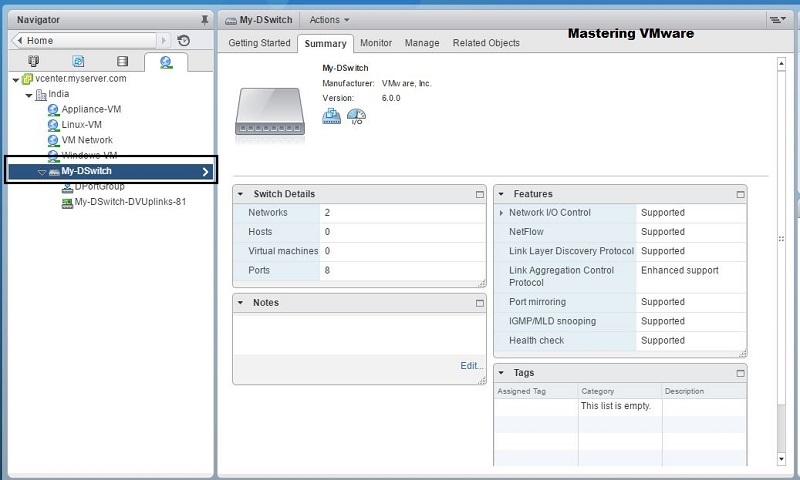 Click on Nodes and you will see the vCenter Server listed. Click Actions button on the Top. Here you can specify which information you want to gather in the bundle. As you can see the Exporting is in process once it gets completed. Click OK to close. 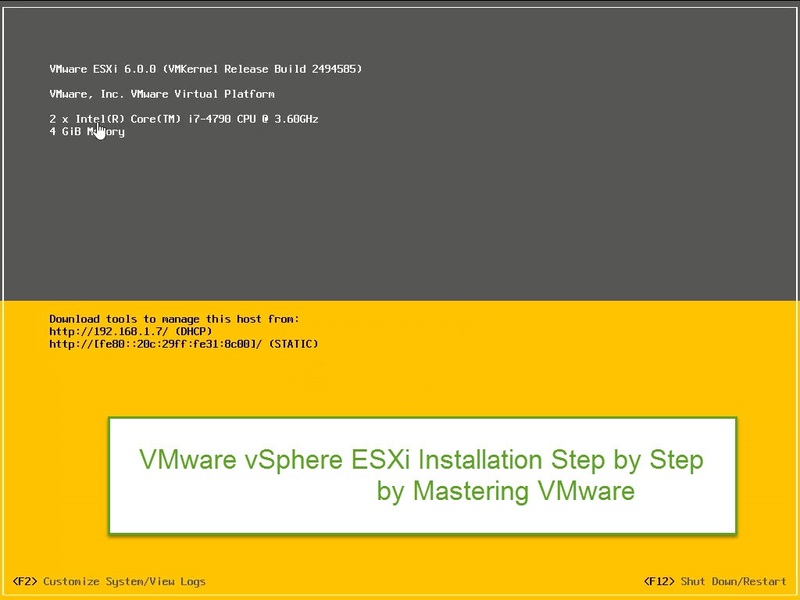 In this we will see on how you can generate support bundle using the command line from VCSA. Type “shell” to launch the BASH where you can run the commands. It will take few minutes to generate the file. Once it is completed, you will see the location of the Support Bundle where it is generated. 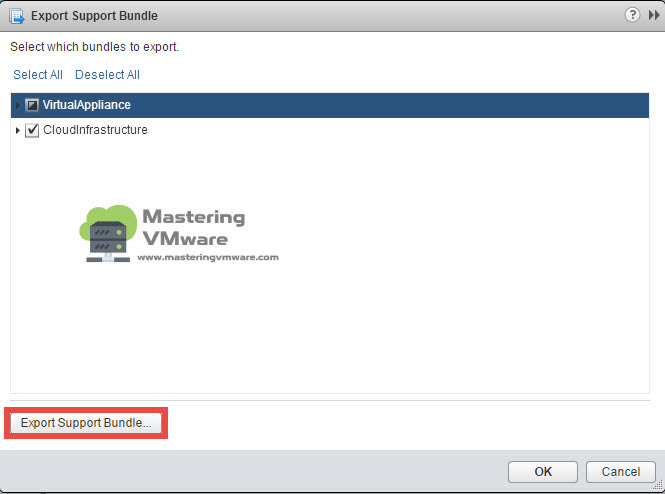 This are the most used ways for Generating the Support bundles for vCenter Server Appliance. 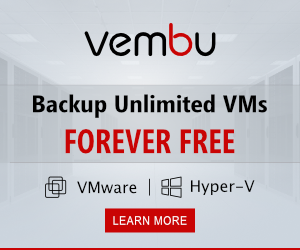 Using this ways you can generate the logs or the Support bundles of vCenter Server easily. 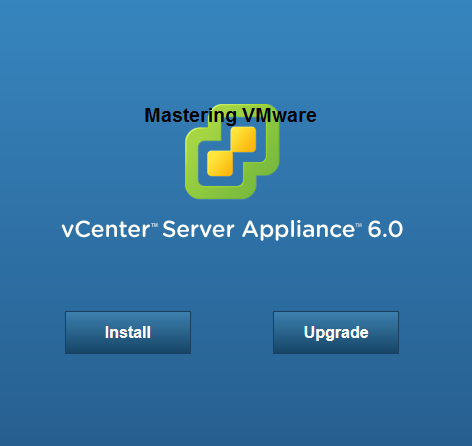 Note: In this post we have used the vCenter Server Appliance 6.5.